The scheduler. Informer provides a very flexible scheduler that we call Informer Jobs. Most applications have a datastore/ warehouse that backs the BI applications. This includes a huge data model with lots of tables containing information that is refreshed in bulk at a particular point in time – typically overnight. But, if there is one particular component of that datastore/ warehouse that you need refreshed more frequently, you’re stuck, or you request IT to go through a rigorous manual process to update the information. If you have a data warehouse and you want a sales component to be refreshed, your IT team has to go in and manually do that – it’s all or nothing – they can’t go in and schedule just one piece of data. Whereas with Informer Datasets, each Dataset can have its own schedule for refreshing. You can define a Sales Dataset that is refreshed on one schedule, an Inventory Dataset that is refreshed on a separate schedule, and the other Datasets can have their own independent schedule. 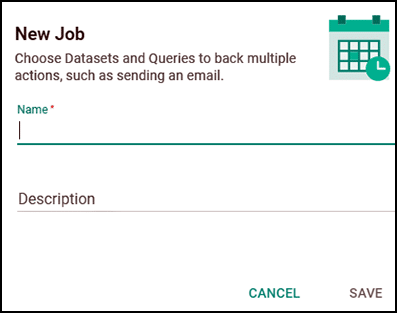 So, if your sales data is changing frequently and you want to see that reflected when you’re reviewing your data in Informer, you can set Jobs to refresh that overnight, or when you want. Speed and Efficiency. Organizations are dealing with larger and larger amounts of data coming in from many different sources and they need to compile it into indexing systems that enable users to quickly analyze it and work with it. Informer provides tremendous efficiency in working with data. For example, once the data is loaded in the Dataset, users can very quickly work with it – groupings, aggregations, visuals, analytics, etc. – because we index everything within the Dataset. This is a significant benefit because it’s very fast and efficient for you, enabling you to accomplish a lot more in a shorter period of time. Informer can also handle multiple million row Datasets and still be able to group and aggregate within a few seconds without having to wait for an extended period for that process to happen. Informer accomplishes this by utilizing a relatively new database technology which was born out of search engines and from Google’s database requirements that enables people to sort through terabytes of data to find what they are looking for. From a BI applications standpoint, usually higher-end and more expensive applications incorporate this technology. However, as a forerunner among BI applications in the SMB space, Informer utilizes the same technology. For more please contact sales@entrinsik.com or call 888-703-0016.